Fauji Fertilizer Company Limited invited applications for two years. 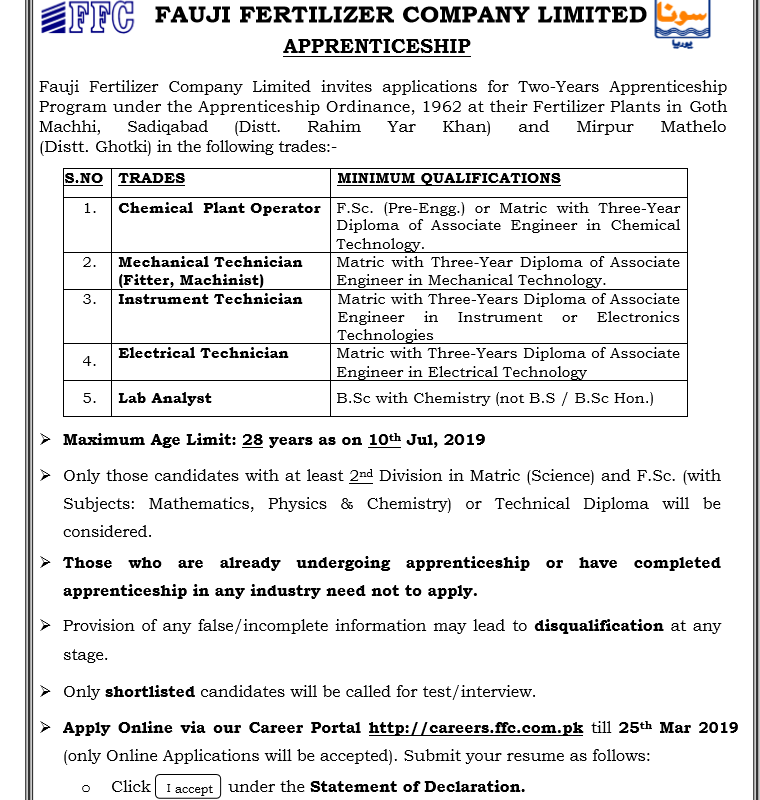 Fauji Fertilizer Company Limited Jobs 2019 For Chemical Plant Operator, For Chemical Plant Operator, Mechanical Technician, Instrument Technician, Electrical Technician, Lab Analyst. Only those candidates with at least 2nd division in matric and F.Sc with subjects Mathematics, Physics, and Chemistry or Technical diploma DAE be considered. 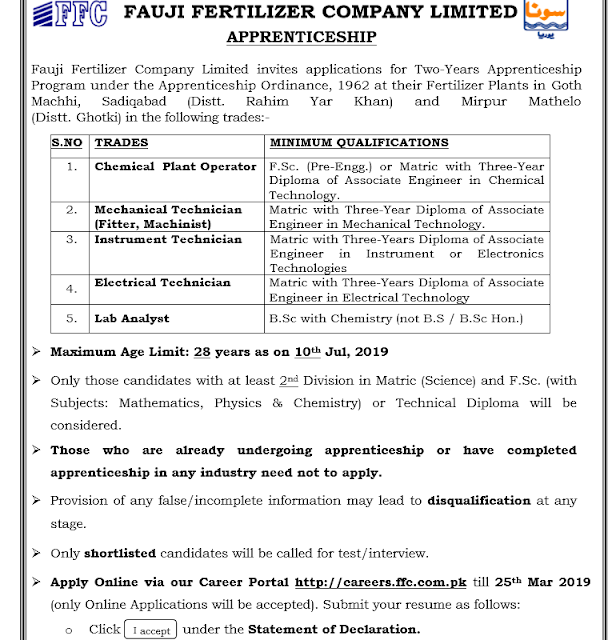 How to Apply for Fauji Fertilizer Company Jobs 2019?